Over 66,000 tonnes of pesticides and herbicides are used by farmers and agriculture workers in France every year, according to La Spéciale d'Envoyé programme, which was broadcast this week on television channel France 2. Such pesticides remain on the skin of fruits and vegetables, it said, and may then end up on our plates. Over 72% of non-organic fruits, and 41% of non-organic vegetables, contain traces of pesticides by the time they reach our dining tables, according to a report from NGO Générations Futures. 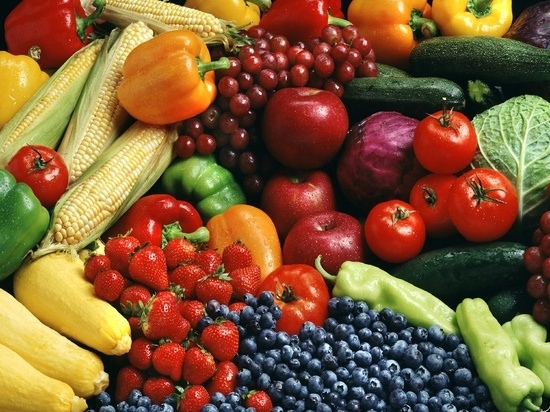 Physically, vegetables are also likely to have a thicker outside skin, protecting them more. For example, an artichoke or an aubergine is more protected than a cherry, strawberry or grape. The least-contaminated vegetables were wheat, asparagus, tropical vegetables madeira and yam, and beetroot and cauliflower, all of which had less than 7% pesticide residue. The most-contaminated were celery, fresh herbs, endives, lettuce, and bell peppers. The programme also considered how consumers might try to limit the amount of pesticides that end up on their plates, by taking steps to wash and prepare fruit and vegetables ahead of eating. For organic products, a quick wash and wipe is usually enough, she said, as these will be treated with fewer, if any, pesticides in the first place. Pesticides have long been controversial in France, with the herbicide glyphosate drawing criticism in particular. It has been linked to health conditions including cancer, and eye issues. Yet, moves to try to legally ban its use have been repeatedly blocked by the Assemblée Nationale, despite President Emmanuel Macron’s public support of a legal ban in France by 2021. In September 2018, minister for agriculture, Stéphane Travert, suggested that instead of an outright ban, there should be further research on eco-friendly solutions for farmers.